Daily Debate: Which Shop is the Most Useful in The Legend of Zelda? There are tons and tons of shops throughout The Legend of Zelda franchise, spanning a multitude of games and worlds. Each one has it’s own unique design and shopkeeper. These strains each provide Link with specific services. Some shops are easy to find, while others are hidden in difficult spots. Most of them though hold something useful for Link to buy and take on his journey. But which one is actually the most useful? This doesn’t include ones that are integral to Link’s quest like Ravio’s shop in A Link Between Worlds, and the costume shop in Tri Force Heroes. When I play Zelda games, I mostly avoid shops as a general rule. I don’t like to use potions because it feels almost like cheating. You can also find arrows, bombs, and pretty much anything else you can buy in a shop out in the world. This means that I actually have a limited knowledge of what all the shops hold because for me, they are pretty much all useless. 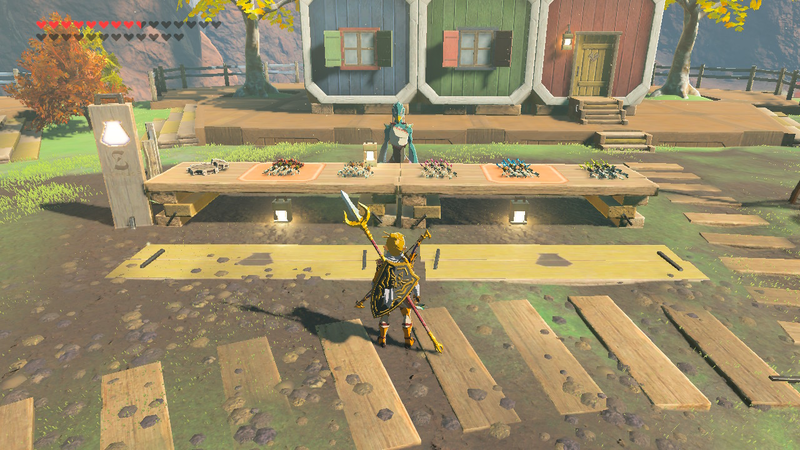 The only shop that I can actually think of frequenting is the Slippery Falcon in Tarrey Town from Breath of the Wild because it stocks arrows even when Beedle stops selling them to you. What do you think? Which shop do you use the most? Which one has the most useful items? Let us know in the comments below!